With his notorious reputation for trickery and deception, and an ability to cause as many problems as he solves, Loki is a Norse god like no other. Demon-born, he is viewed with deepest suspicion by his fellow gods who will never accept him as one of their own and for this he vows to take his revenge. But while Loki is planning the downfall of Asgard and the humiliation of his tormentors, greater powers are conspiring against the gods and a battle is brewing that will change the fate of the Worlds. 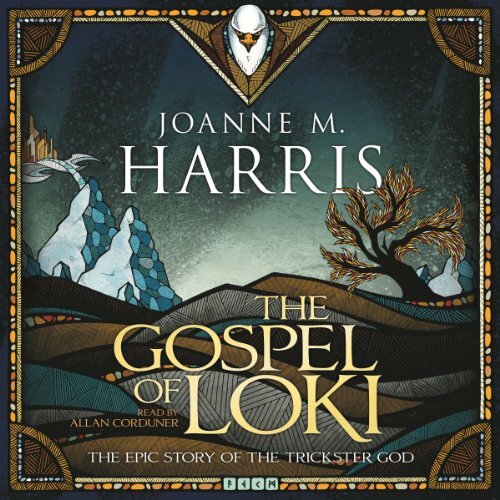 From his recruitment by Odin from the realm of Chaos, through his years as the go-to man of Asgard, to his fall from grace in the build-up to Ragnarok, this is the unofficial history of the world's ultimate trickster. Beautifull telling! I enjouyed it tremendously! The telling of the story from Loki's point of view is very authentic. Gripping and filled with humour. Sooo "Loki"! The narrator did a great job! But then again i liked his way of storytelling from before. He puts passion in the reading, i feel he does a great job of first person narative. Strongly recommend this listen to anyone who wants to escape into myth for a day and likes to contemplate the complexity of the human experience. It's a great mirror into what drives us and how we weave our stories to explain our choices to ourselves. But be careful, you might not be able to stop listening once the storry grips you, and it grips you quickly! Fair warning! Well written, clever plot - brilliant for those who know the Norse mythology.